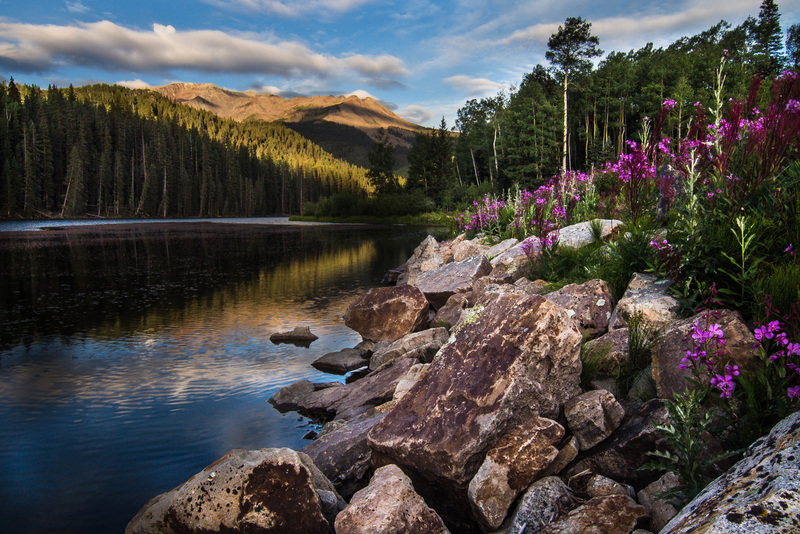 This is a view of Dolores Peak and Woods Lake just after sunrise, in Uncompahgre National Forest, SW Colorado. I just got Lightroom. Believe it or not, up until now I’ve been doing all of my image post-processing in Picasa. It’s (very) basic, but assuming your original image is in pretty good shape, you can usually get some pretty good results. So, I’m basically looking at upgrading my PC now. And in the meantime, there’s this one. I feel like it’s a bit over-processed. Also, I tried starting from scratch a couple times to se if I could replicate the results (to see if I really understood what I was doing), and I couldn’t come close (which means I don’t, yet.) Oh well, figured I’d go ahead and toss it up here, since I had it and all.